Location apps might help you decide where to shop, but they don’t show you what’s for sale. 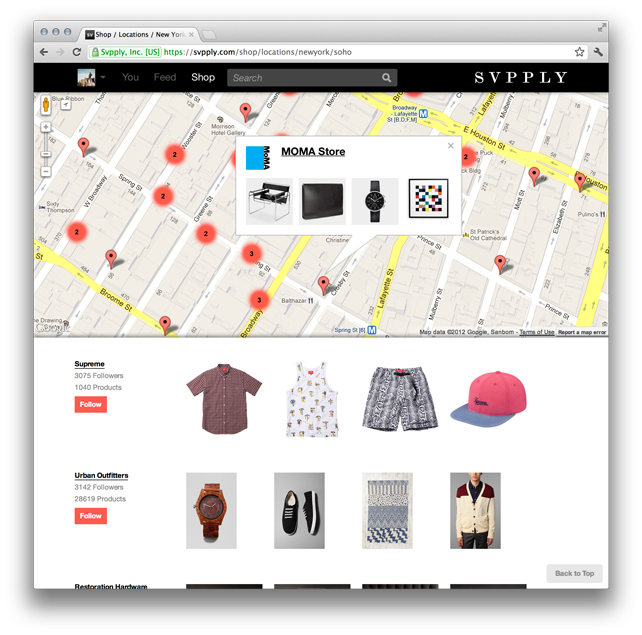 Svpply’s new Store Explorer feature does it beautifully. The “Explore” feature on Foursquare, which helps you find a nearby bar or restaurant based on places your friends have been checked-in, works pretty well. But it doesn’t really help you discover new spots as much as return to the ones your friends have already been to–in other words, it doesn’t mimic the way you window shop in real life. What entices you to walk into a store is almost always the eye candy provided by a beautiful storefront with artfully displayed wares. 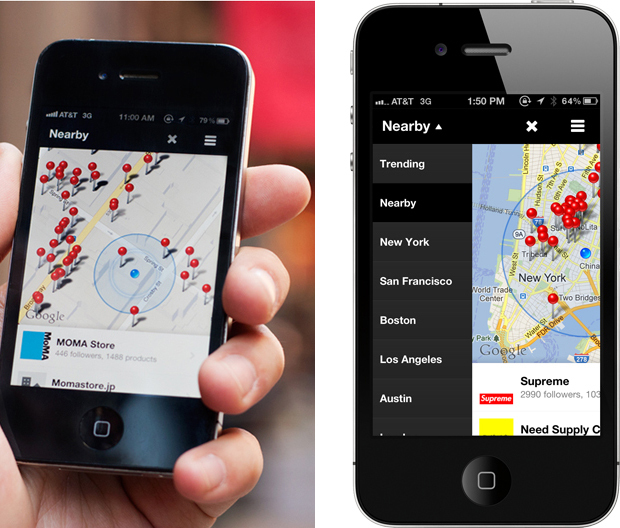 How do you convey that magic in a location-based app? 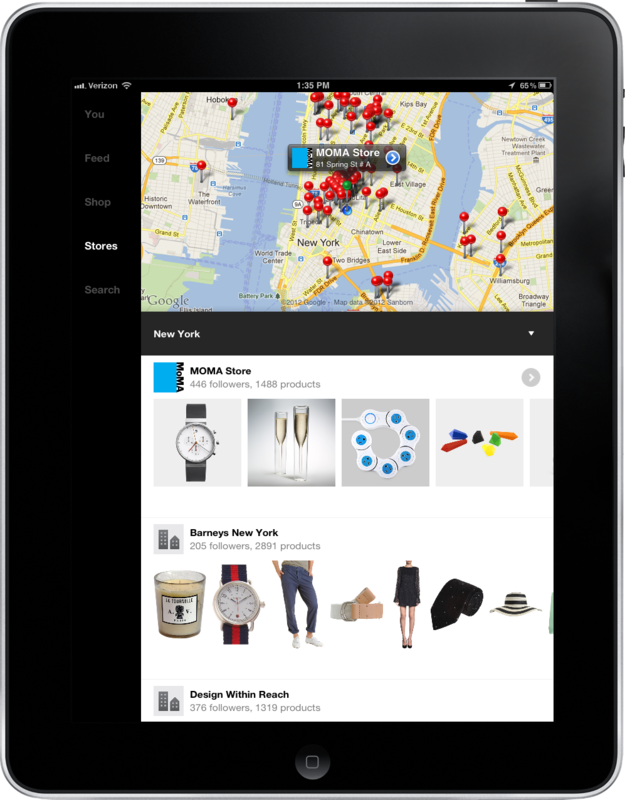 The product-discovery service Svpply is trying to do just that with its new Store Explorer feature. Instead of simply providing a tiny red pin with an address, Store Explorer ports you over to a store’s Svpply page where you can swipe through some of their wares and see how many people have “Wanted” their items. Think of it as pre-window-shopping. The feature, which is available on both the Svpply website and iOS app, is launching in 21 cities including New York, Paris, and Sydney, which alone has 22,000 listings. “Most location-oriented apps offer you a list of who’s been to a store, or give you a picture of the storefront to help you find it, but none of that helps you make a decision about whether or not it’s a place you actually want to visit,” Svpply cofounder Greg Leppert tells Fast Company. The one problem with Store Explorer right now is that not all the items you see on a brand’s Svpply page are guaranteed to be in stock at a particular location–an item might be out of stock, say, or from a previous season. But Leppert says it’s a first step toward mending the broken customer-retailer relationship.